Great marketing comes in many forms. For instance, a convenience store I frequent near my office is located next door to a Burger King® fast food restaurant. From time to time, you can smell the flame broiler cooking burgers as the place gets ready for lunch rush. That smell is enough to make anyone hungry for a Whopper®. In fact, there are time I have left the convenience store, smelled that aroma and immediately got in line in the drive thru. With my mouth salivating in anticipation of the product which produced that aroma, I take a big bite — and am usually disappointed. The taste is rarely even close to the aroma that brought me to the drive thru in the first place. Not only am I disappointed, I make a mental note not to be duped in the future. This is not necessarily Burger King’s fault. The method by which they cook the burgers can’t help but produce that aroma. However, the disconnect between the two is real, and probably affects a great deal of customers. My friend Jerry Frentress speaks of “selling the sizzle.” In our marketing, we should connect to our customers through their sense and emotions — creating a strong bond. Telling someone that you have a great steak isn’t as effective as showing it sizzling on the grill. However, the steak had better be great. 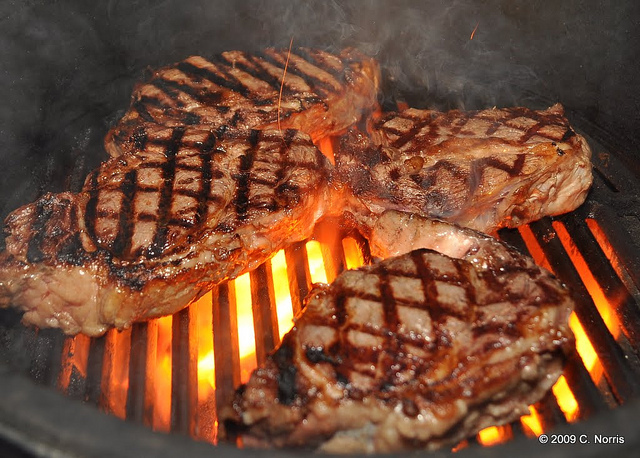 As we market ourselves and our products, we need to make sure our sizzle matches our steak. If we claim to be professionals, then we should appear and act professionally. If we claim our product is the best, then we must make sure it truly is. Marketing only shines a brighter light on your shortcomings if you aren’t careful. My dad always told me that advertising can only bring people into the doors of a business. It cannot make sure the floors are clean, the employees friendly, or the products great. The over-hyping of everything in our world makes people wary of any claims that are made. There is no shame in promoting yourself and your business, just make sure you are doing it the right way. I heard a speaker at a leadership conference say, “If you are the only hot dog stand in town, the hot dogs don’t have to be that great.” The problem is that there are hot dog stands everywhere now. You can probably even buy hot dogs on Amazon. So put as much effort into people, products and training as you do in promotion. Don’t let the “aroma” be the best thing about your business.